Bachelor of Computer Science (Rhodes University), Higher Diploma in Accounting, CA (SA), Certificate in International Tax. After graduating from Rhodes University with a Bachelor of Computer Science Degree, Kim Hulett completed a Higher Diploma in Accounting. She qualified as a chartered accountant after completing her articles with Price Waterhouse in Johannesburg. Kim joined Hambros Bank in London, focusing on cross border corporate finance. After returning to South Africa, Kim set-up her own consulting business in corporate finance, structured finance, tax, and black economic empowerment transactions, and was actively involved in the incubation of a number of businesses in the media, entertainment, technology, security and medical industries. 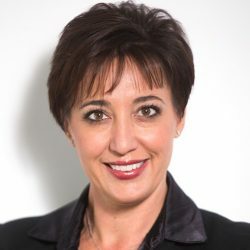 Kim is a trustee of the Oliver & Adelaide Tambo Foundation and also a member of Abundance 360, an international entrepreneurial programme set-up by Peter Diamandis, which aims to turn success into significance using disruptive exponential technologies. 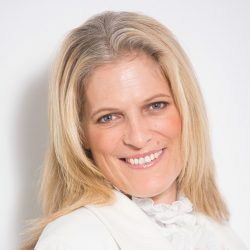 Kim founded Next Biosciences together with Netcare Limited in 2005 and is responsible for the overall strategy and management of the business. MBBCh (Wits), Diploma in Child Healthcare, Diploma in Transfusion Medicine. Yvonne Holt graduated from the University of the Witwatersrand 1997 with a Bachelor in Medicine and Surgery (MBBCH Wits). Yvonne worked as a Medical Officer in the departments of Paediatrics and Obstetrics and Gynaecology for 4 years after graduation, and obtained a Diploma in Child Health (DCH) during this time. In 2006, Yvonne’s interest in the fields of Obstetrics and Gynaecology, Paediatrics and stem cell technology brought her to a new career path when she joined Next Biosciences as Medical Director. In this capacity, Yvonne is responsible for the medical development of the stem cell program at Next Biosciences and highlighting the benefits of this new technology. In 2011, Yvonne completed a 2 year, internationally recognised Diploma in Transfusion Medicine through the University of Bloemfontein. With Next Biosciences expanding services, Yvonne remains responsible and oversees all medical development and laboratory management of the new services. Bachelor of Commerce (Rhodes University). After matriculating from St John’s College, Andre graduated from Rhodes University with a Bachelor Degree in Commerce. He started his career at Ivor Jones Roy & Co (IJR) on the Johannesburg Stock Exchange in 1994. In 1998 he became a partner before IJR was sold to Deutsche Morgan Grenfell and subsequently moved to the UK in 2002, where he ran numerous businesses for the bank including a European proprietary fund as well as the Emerging market and European Equity trading businesses. Andre relocated to New York in 2010 to run the bank’s US trading business. In 2012, he became the Global Head of Equity Trading for Deutsche Bank. Andre is a member of Abundance 360, an international entrepreneurial programme set-up by Peter Diamandis of Singularity University. Andre has investments and interests spanning artificial intelligence, computational finance, disruptive ecommerce start-ups and biosciences. Bachelor of Business Science, Marketing Honours (University of Cape Town). Catherine matriculated from St Mary’s D.S.G in Kwa-Zulu Natal in 2004, and then graduated from the University of Cape Town in June 2009 with a Bachelor of Business Science and Honours in Marketing. 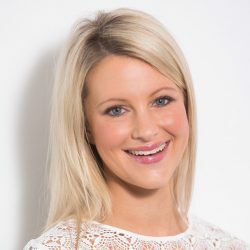 Catherine joined Next Biosciences in June 2010 as Marketing and Communications Manager, where she is responsible for all aspects of client-related marketing and communications. 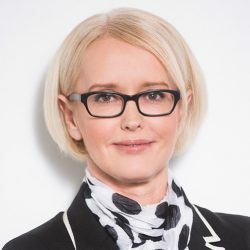 To date, Catherine has been instrumental in a number of exciting projects: implementation of an e-commerce platform for clients to register on-line, a lead management system, an on-line gift registry, an on-line client feedback survey as well as a number of successful marketing campaigns. Catherine has a passion for social media marketing as well as digitizing the consumer decision journey and client interaction with Next Biosciences. 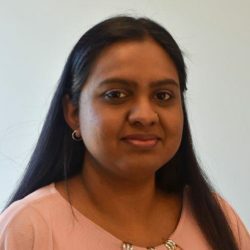 Rizwana matriculated in Kwa-Zulu Natal in 2002, and then graduated from the Durban University of Technology in March 2007 with an NDip in Biotechnology. Rizwana went on to complete her in-service at an outsourced laboratory in Durban. After having completed her in-service, she started working for a pharmaceutical company as a Microbiologist, moving her way up to Senior Microbiologist, Quality Control Manager and then Quality Assurance Manager. As Quality Assurance Manager, she was involved with the implementation of ISO 17025, ISO 9001, GMP, GL, obtaining medical licences with SAPC and MCC. Rizwana joined the Next Biosciences team in 2017, where she is responsible for managing and maintaining the Quality Management System at Next Biosciences. Rizwana is currently studying a Business Management Degree. 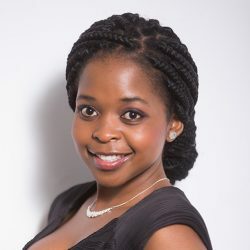 Thandokuhle Khumalo enrolled for her undergraduate BSc degree at WITS University in 2009, majoring in Genetics and Biochemistry and was awarded the Golden Key Honorary membership award. She went on to complete her BSc Hons in cell biology, focusing on the role of the laminin receptor in the aggressiveness of breast cancer. Following promising results accompanied by a publication in an internationally recognised journal, she focused on the knockout of this receptor as a potential therapeutic tool for breast and oesophageal cancer cells during her MSc studies. Throughout her MSc study, she was employed by Next Biosciences as a Medical Technician responsible for the processing of cord blood and tissue part-time. After completion of her MSc, she joined Next Biosciences in January 2015 as a full-time Medical Scientist involved in the isolation and cryopreservation of umbilical cord blood and tissue-derived stem cells. In 2016, she joined the Biologics division (involved in the production of biological products AmnioMatrix and OptiSerum) and in 2017 she became the manager of the biologics division. Bachelor of Commerce, Accounting Honours (University of Johannesburg), CA (SA). After completing her Bachelor of Commerce, Carina obtained a Bachelor of Accounting Honours Degree from The University of Johannesburg in 2007. She then joined RSM Betty & Dickson (Johannesburg) in 2008 under a training contract and qualified as a Chartered Accountant in January 2011. 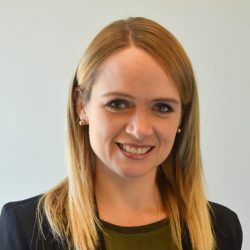 Carina has audit experience in retail, manufacturing, property and investment companies and also gained extensive experience in the audit of retirement funds. 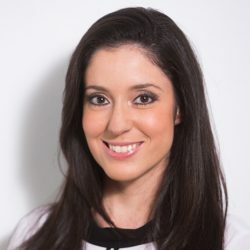 Carina joined Next Biosciences as Financial Manager in October 2010 and is responsible for the financial management, accounting and related taxation and administration functions of Next Biosciences’ operations. Kajel obtained her BSc (Hons) in Developmental Biology and Genetics from the University of the Witwatersrand, South Africa, in 2010. She then completed a two-year internship in the department of Somatic Cell Genetics at the National Health Laboratory Service where she obtained her registration as a Medical Biological Scientist with the Health Professions Council of South Africa. 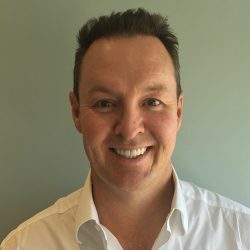 In 2014, Kajel joined Genesis Genetics South Africa (which became a Next Biosciences’ company when it was acquired by Next Biosciences in 2016). Kajel then went on to complete a Postgraduate Diploma in Business Administration with Milpark Business School in 2017. She uses her scientific and business knowledge to drive efficient services whilst maintaining excellent patient care. Roxann completed her Bachelor of Arts and Bachelor of Laws Degrees at Rhodes University in 2008. She moved to London in 2009 to travel the United Kingdom and Europe. After returning in 2011, Roxann completed her Articles of Clerkship and Board Examinations in Durban, she was admitted as an Attorney of the High Court in April 2013. Roxann practised at Strauss Daly Attorneys (Durban) for a short time before moving to Johannesburg to join a group of companies providing a number of services to private healthcare providers as the in-house Legal Advisor. During this time Roxann found a passion for training healthcare practitioners on law and ethics specific to their profession. She joined Next Biosciences as the Legal and Compliance Manager in January 2016. Roxann is responsible for ensuring that the company’s operations adhere to the laws, regulations and the business rules of the biotechnology and medical industry. She is also the Human Resources Manager for Next Biosciences. Bachelor of Science Honours, PhD (Cambridge, UK). Senior Lecturer (Biochemistry), University of KwaZulu-Natal, SA, Carola Niesler is an established NRF-rated scientist who leads a Stem Cell Research laboratory in the Department of Biochemistry, University of KwaZulu-Natal. 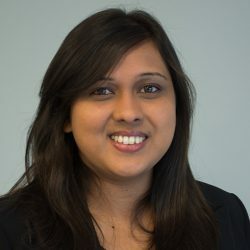 She started her stem cell research career analysing adipose-derived stem cells during her PhD at the Department of Clinical Biochemistry, University of Cambridge, UK, and subsequently spent two years in a Centre of Excellence for wound healing research at the School of Biological Sciences, University of Manchester. In 2001 Carola joined Stellenbosch University to establish a Stem Cell Biology Group in the Department of Physiological Sciences. During this time, she also acted as a Director of Virtus Clinical Development, a clinical research organization based in Cape Town. In her current position as Senior Lecturer at UKZN, her research area centers on understanding how the extracellular environment influences stem cell activities such as proliferation, migration and differentiation. She has published 27 papers in international peer-reviewed journals and has graduated 15 PhD/MSc students over the last 10 years. BS (Georgetown University), PhD (NYU School of Medicine). 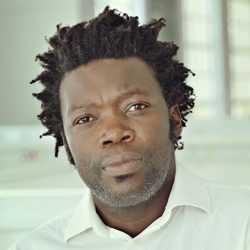 Dr. Musa Mhlanga is a cell biologist who holds a PhD in cell biology & molecular genetics from the New York University School of Medicine (2003). He began his PhD at Rockefeller University and upon completion of his doctoral work he was awarded a National Science Foundation postdoctoral fellowship at the Institut Pasteur in Paris to work in the laboratory of nuclear cell biology. In June 2008 he joined the Council of Scientific and Industrial Research (CISR) in Pretoria, South Africa where he headed the Synthetic Biology Program, and was the research group leader of the Laboratory of Gene Expression and Biophysics. He currently leads a major translational research initiative at the University of Cape Town. Dr. Mhlanga also holds a visiting faculty appointment to Harvard Medical School and to the Institute of Molecular Medicine in Lisbon, Portugal. He is the founder of three early stage Biotech start-up companies in France, United States and South Africa. BSc Honours in Medical Biochemistry (Wits), PhD in Molecular Biology (Wits). 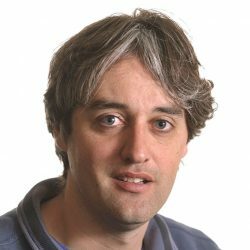 Prof. Marco Weinberg is a biochemist and molecular biologist whose research career has focused on the study of gene regulation and the role of engineered nucleic acids as novel therapeutics. He is currently an Associate Professor in the Department of Molecular Medicine at the University of the Witwatersrand Medical School, South Africa and concurrently an Assistant Professor at the Scripps Research Institute, California, USA. He has pioneered the use of fast-cleaving hammerhead ribozymes, short hairpin RNAs, long hairpin RNAs, mirtrons, aptamers and CRISPR tools as powerful gene silencing agents against viral diseases and cancer. His work on antisense non-coding RNAs as epigenetic modulators of gene expression has opened-up several new avenues for translational research using novel strategies to silence (and activate) viral genes. 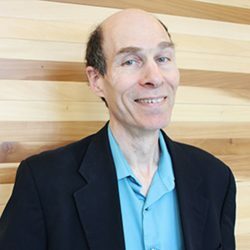 Prof. Weinberg has published over 55 papers with several in prestigious international journals and is rated by the National Research Foundation (NRF) as a leading international scholar. He has successfully graduated 20 doctoral/masters students and several postdoctoral fellows and is on the editorial board of Molecular Therapy and the South African Journal of Science. Lastly, Prof. Weinberg is an inventor on 6 international patents and co-founder/director of Zetta Genomics International, a start-up company involved in clinical next generation sequencing analytics. B.A. in Biology (Dartmouth College, Hanover), MD and PhD in Cell Biology (Yale University). After an internship and residency in Internal Medicine at Barnes Hospital, Washington University in St. Louis (1982-84), Dr Gimble completed a Medical Staff Fellowship in the Laboratory of Immunogenetics, NIAID, NIH (1984-87). Dr. Gimble began studying the differentiation properties of bone marrow stromal cells, now known as mesenchymal stem cells (MSCs), in 1987 as a faculty member at the Oklahoma Medical Research Foundation. His laboratory was among the first to investigate the molecular biology of bone marrow stromal adipogenesis. In 1999, Dr. Gimble left academia to join Zen-Bio as its Director of Tissue Engineering. In 2000, Dr Gimble co-founded Artecel Sciences, where he served as Chief Scientific Officer and whose mission was to develop tissue engineering products based on the use of human adipose-derived stem cells. After the sale of the company in 2003, Dr. Gimble joined the Pennington Biomedical Research Center where he remained on faculty until 2013 as a tenured Professor developing methods for the isolation and characterization of adipose derived stem cells for regenerative medicine. In 2010, he co-founded LaCell, a biotech company delivering premium quality human stem cell products to research laboratories. Dr. Gimble currently serves as LaCell’s Chief Scientific Officer whilst continuing to serve as an Adjunct Professor in the Center for Stem Cell Research and Regenerative Medicine at Tulane University School of Medicine.